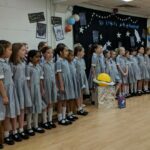 This morning Y3 led us on an adventure to outer space today with a sparkly, star-filled assembly all about outer space. 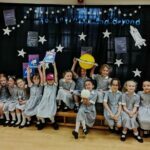 Inspired by the wonderful new book, A Galaxy of Her Own, the girls dazzled us with the knowledge they have gained through this term’s CONNECT+ topic. 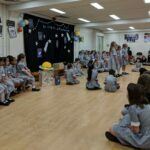 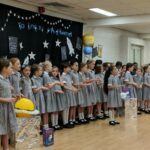 From exploring the physics behind space exploration to barriers female astronauts to reach the dream, the assembly was not only informative but highly entertaining. 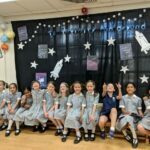 Well done to the Year 3 team!